Mongoose Casino Mobile is structured to maximize a player’s user experience so that players can get straight into the gaming action, from any location and at any time, because who knows when your lucky day might be, and we wouldn’t want you to miss it. This page takes you through Mongoose Casino Mobile and acts as a beginner’s guide to get started with us. 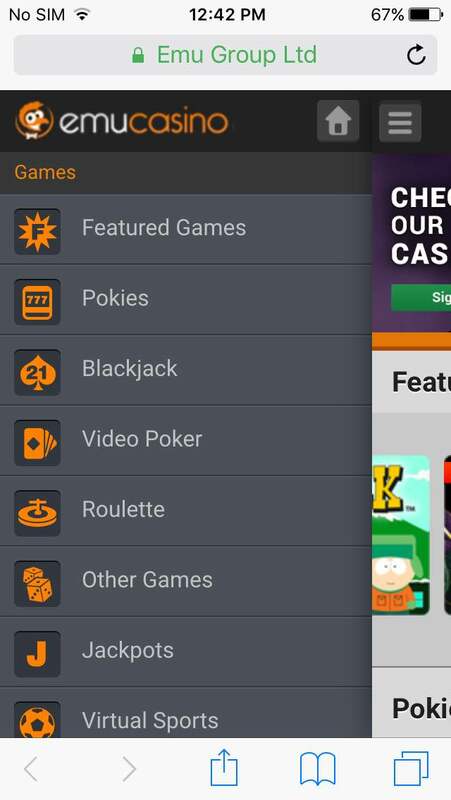 Our mobile lobby page displays some of the top games that we offer in each game category, including our Featured games list which we have highlighted based on popularity, themes, variety, payouts etc. If players want a list of all games under a specific category, they can select the menu bar on the top left corner, which displays the primary navigation menu. The first part of the menu lists all the game categories within which all mobile games offered within the category are listed. Simple select the game to play. A simple tap on the game icon from the list will open the game review page. Players can find a short info of the game along with the game’s screenshots. 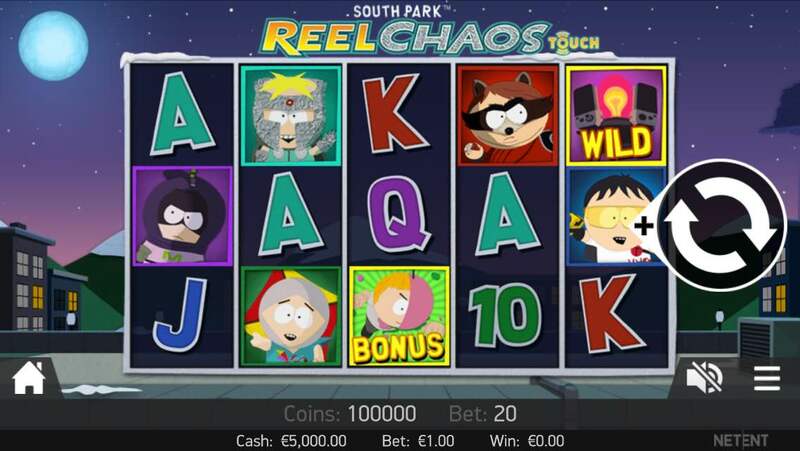 Select ‘Play for fun’ to play with demo credits or ‘Play for real’ to play with your bonus or cash amount. Once you have selected one of the two options, the game play screen will open, and in most cases, players will need to turn their screen to landscape mode to play. All mobile casino games on Mongoose Casino is compatible to Android, iOS or Windows and is fully responsive to your screen. Our ‘Sign Up’ button is prominently displayed on the top right corner of the homepage, next to the Mongoose Casino logo. An alternate way would be to click on the Pad Lock icon and select ‘Sign up’ under New Players. 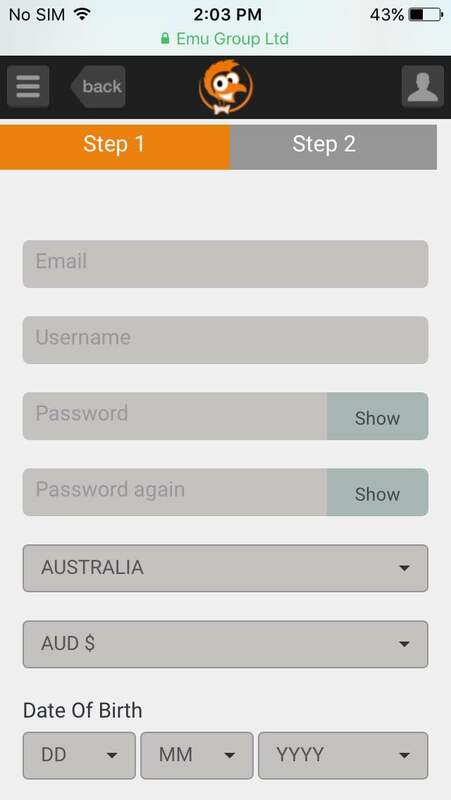 Once the registration form opens, the first part of the process required you to fill basic details like a valid personal email address, username, password, country of residence, choice of currency and date of birth (above 18 years old only) and accept the terms and conditions)link to TnC page). Step 2 is to Enter your address, phone number and a secret question and answer. Kindly note that these information are required for security reasons such as player identification. Once you have provided the necessary information, tap on Join, a dialogue box will open stating a successful registration and the requirement for activation. Be sure to check all that information are correct before clicking Join. Account activation is a part of Mongoose Casino’s email verification process where after you’ve joined Mongoose Casino, an activation link will be sent to the email address you’ve registered with. This is a mandatory process and part of our security protocol. Once you click on the link from your email, the Mongoose Casino mobile site should show up with a notification that your account has been activated. For full details on account activation, here. Mongoose Casino mobile offers the same banking options as our desktop site, and funding your account from your mobile device is as easy as it gets. After players are logged in, simply select the deposit button that rests on the top left side of your screen. Select a deposit method of your preference and choose our welcome bonus if you wish and have the option. 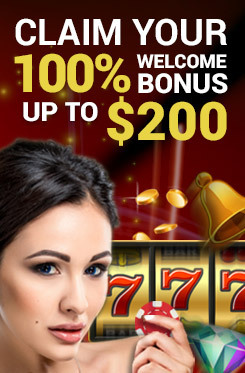 Welcome bonuses are offered on the first three deposits. Then enter the deposit amount and insert the necessary security details as per the payment system provider’s requirements. Depending on the method you have chosen, the amount should appear immediately on your casino account. For full details on the banking options at Mongoose Casino, go to our payment options page. Players can play with real money with either their deposit money or their bonus amount (if it is available). Once players have funded their account, they have access to all of the online casino games offered within Mongoose Casino mobile. Simply select a game, tap on ‘Play for Real’ and feel free to wager and win on their favourite mobile casino game. As part of our player verification process, Mongoose Casino requires players to submit certain documents as proof of their age, address etc. This process known as “Know Your Customer” is a standard security protocol at Mongoose Casino. Under you player profile, select Account verification. Once the page opens, players will need to upload the documents and submit. Our KYC team will screen those documents and either approve or reject it. For full information on account verification, our KYC process and its importance, go to our Account verification page. Upon any confusion, feel free to contact our customer support team. Enjoy!